How important is it to develop the skill of leading from the future? An essential aspect of this skill is the ability to describe the present. This is not as easy as it might seem, especially in our time of exponentially rapid change. But without cultivating the ability to describe the present, leaders will not be able to anticipate the future. That’s a skill the prophets of old developed to a high degree. Many think of the prophets in the Old Testament as soothsayers who could predict the future. But they were mavens at describing the present. They had the courage to open their eyes, see what was really going on around them, and say something about it. The prophet Nathan rebuked David for the murder of Uriah. The prophets of Israel pointed out the mistreatment of the poor, widowed, and orphaned. Jesus himself read the signs and anticipated the destruction of the Temple. 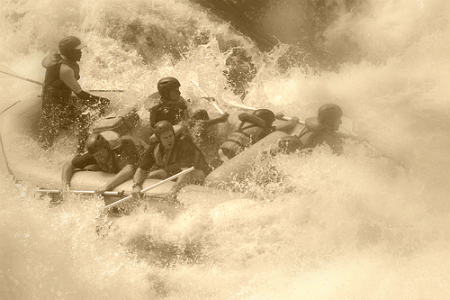 Twenty-first century leadership needs to hone the ability to describe the present. Leaders need to be able to fearlessly describe the world as it is, wisely discern the meaning in the moment, and creatively discover paths forward towards the world as they prefer it. I mentioned in my last post that if I had to describe the present in one word, it would be that we live in a time of Redefinition. The meaning of fundamental societal structures such as marriage, family, and even gender are being redefined. What do we make of the fact that Jesus speaks about marriage being redefined at least once already? How do we integrate the fact that polygyny seems to be an acceptable marital structure in the Old Testament (David, Abraham, others)? How do we account for animal suffering and death before the “fall” of man? Leaving the scripture for the world of science, our DNA tells us that polygyny was a more common marital structure than one man and one woman. We have more “Moms” than we do “Dads” in our genes. We know today that animals lived, suffered, and died for millions of years before humankind appeared on Earth. This kind of new data creates problems for those who read Genesis chronologically as a history. The way they read it, the first families were made up of marital units comprised of one man and one woman, and after “the fall” everything got screwed up. And, Adam and Eve’s sin allowed death to enter the world. How can we understand the scriptural story of marriage, family, and sexuality as well the existence of death and suffering before the “fall” alongside a genetic and historical story that starts off messy rather than perfect? Maybe it’s time to rethink our story, and make it bigger so that it accounts for deep time as well as the new data about life on Earth. How can we do this while being true to the biblical story that we’re in? Perhaps the vision of the garden and of the man and woman are not about the past at all. Perhaps they are a vision of the future, a future which no culture has yet attained, but towards which we are moving. This is just one small example. And this one word, Redefinition, describes only one stream within our 21st century culture. A second descriptor of our time is Exponentially Rapid Change. The Pew Research Group’s findings indicate that the rate of change in the 21st century would be a thousand times faster than in the 20th. And change in the 20th century was blazing fast. Not only are we defining and redefining, we’re doing it at lightning fast speed. In Makers of Fire, I offer a dozen descriptors of the present. Redefinition and Exponentially Rapid Rate of Change are two of them. I’ll offer the rest in posts to come. We’ll also be discussing this in the Master Certificate portion of the IMN 2015 Immersion in Orlando. Hope to see some of you there. As you look around, what is it that you see? 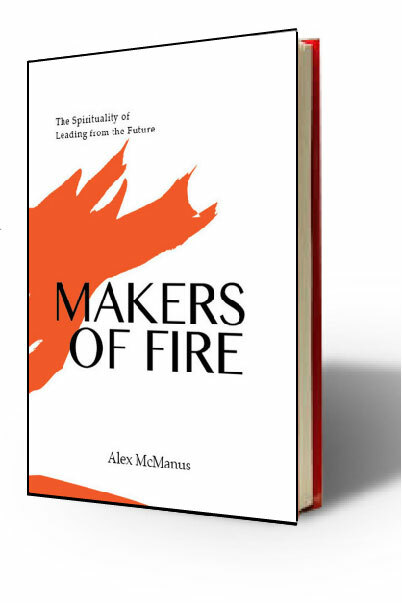 Order your copy of Makers of Fire on Amazon. Enroll in IMN 2015 in Orlando, Fl February 2-6. Click the link for more details.